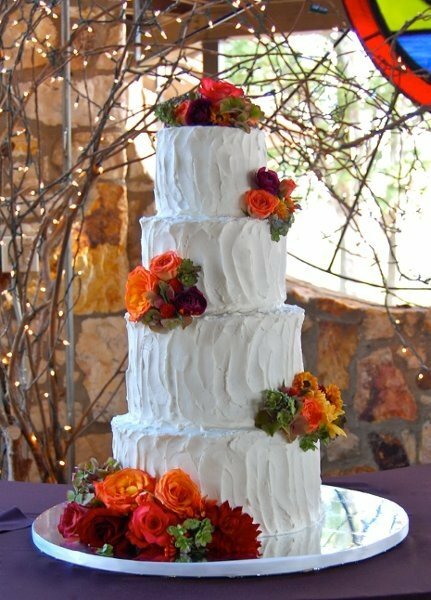 This stunning four-tiered white cake is accented with beautiful fresh flowers in the best fall colors. The deep reds and oranges and bright yellows – with a hint of greenery too – make the bright white icing pop and gives off a great seasonal vibe. You can find this fall wedding cake here. It was created by Sugar Cloud Baking Company.